Deuce Brand’s clever and ergonomic design means that our watch can be worn in a multitude of conditions from trend setting to contact sports. Designed with an athletic theme and an exciting lineup of fashionable colors, the Deuce Brand watch is comfortable to wear and will add a new twist to your wardrobe! At the core of the products design is a next generation designed bracelet, that is waterproof, durable and contains the supreme functionality of your soon to be favorite watch. When it comes to bracelets, and watches, it's very rare that you'll catch me wearing them because of my overly sensitive skin. Given the unique design and use of materials I was excited to see if the Deuce Brand watch would prove to be one that I could actually wear. The answer to that question is an ecstatic, YES! 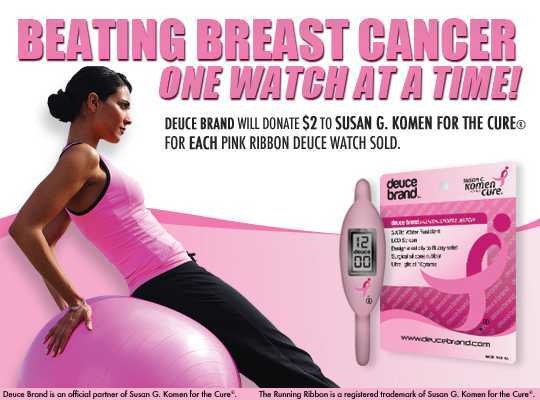 Over the past couple of weeks I have been wearing my Deuce Brand "Pink Ribbon" watch without any issue. I love that the Deuce is water resistant and so incredibly durable! 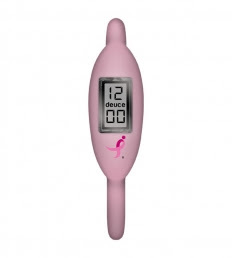 As a mom of two small children, the durability of the Deuce Brand Watch puts a smile on my face....it's virtually kid proof (and what mom wouldn't love that)!